Edelweiss Round cut Engagement Ring was added to your cart. 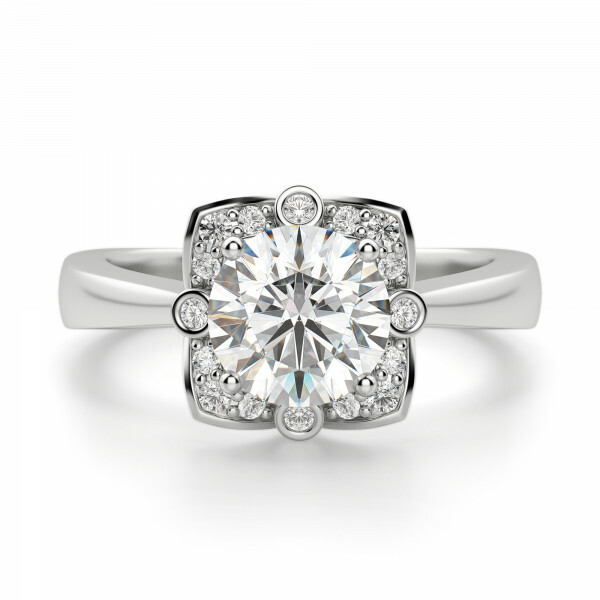 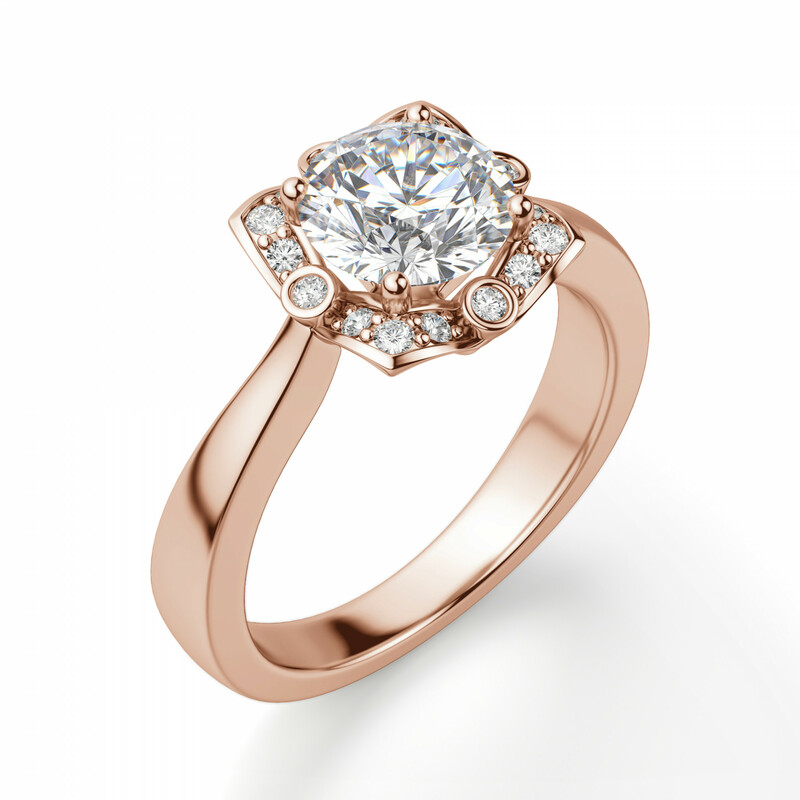 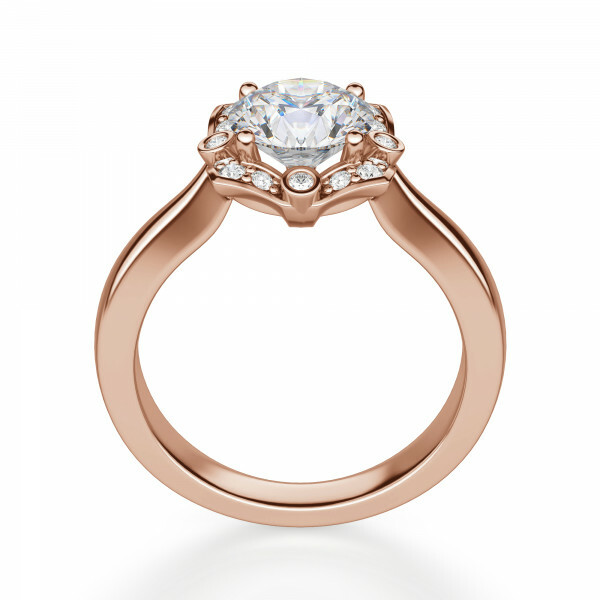 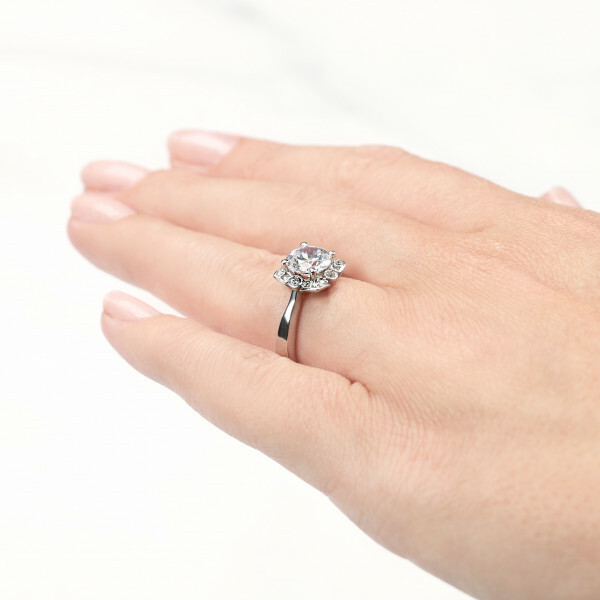 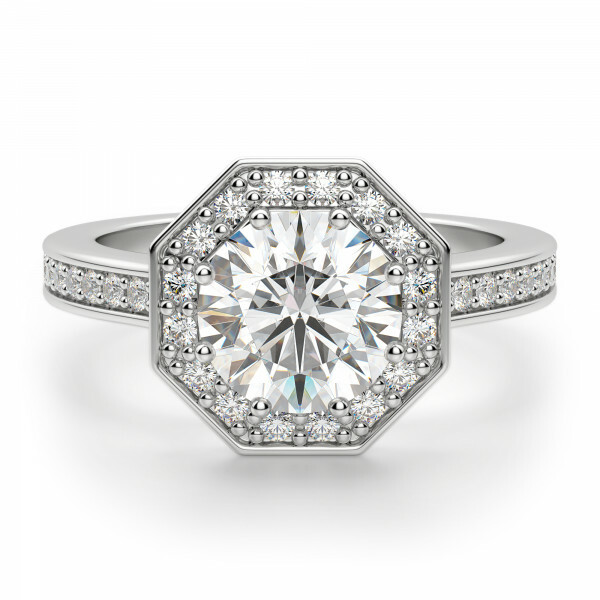 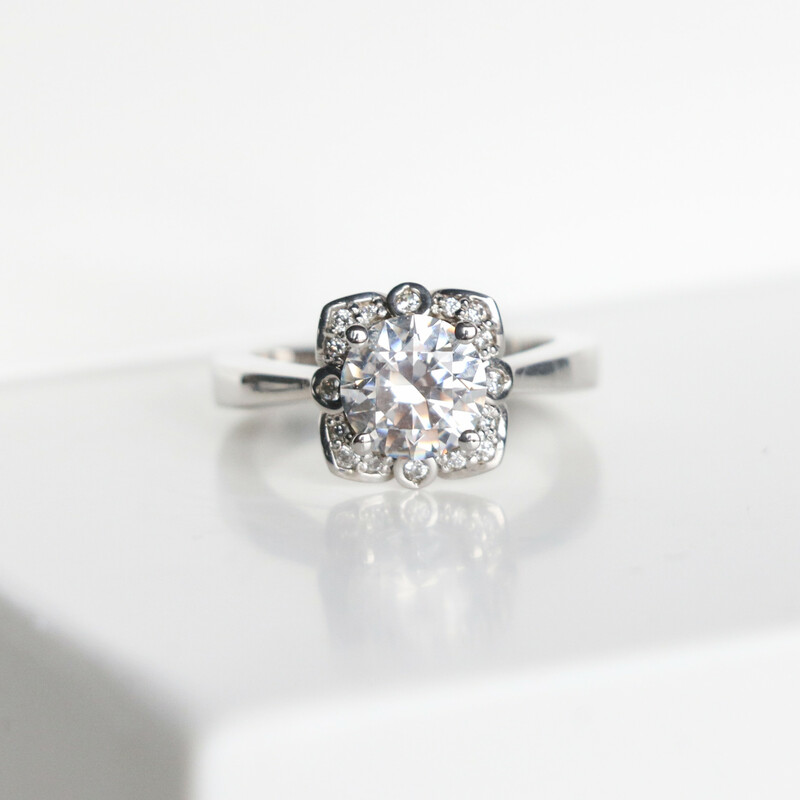 This engagement ring is characterized by its unique, vintage-inspired halo. 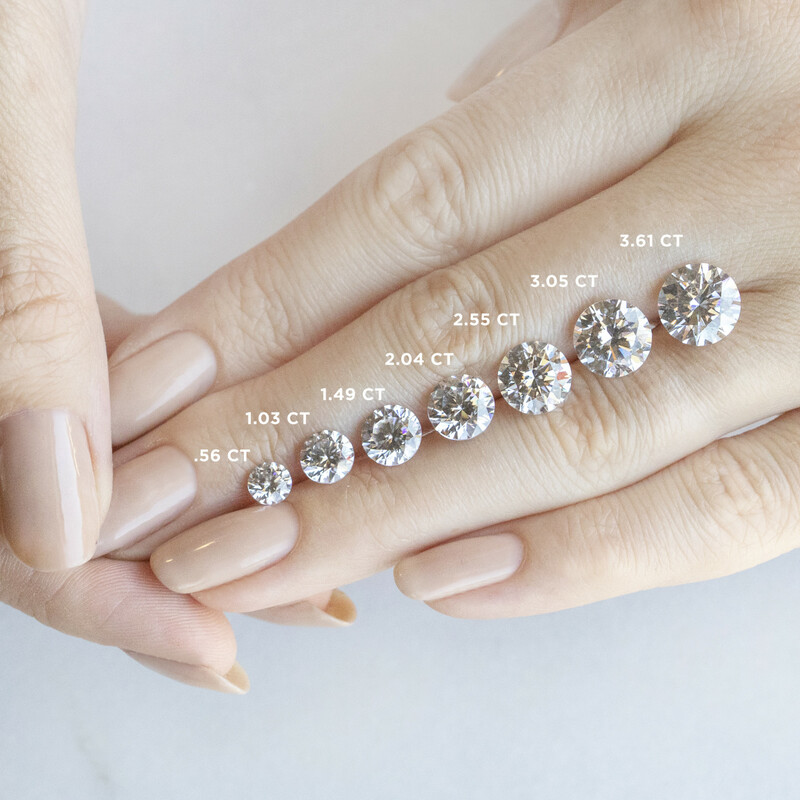 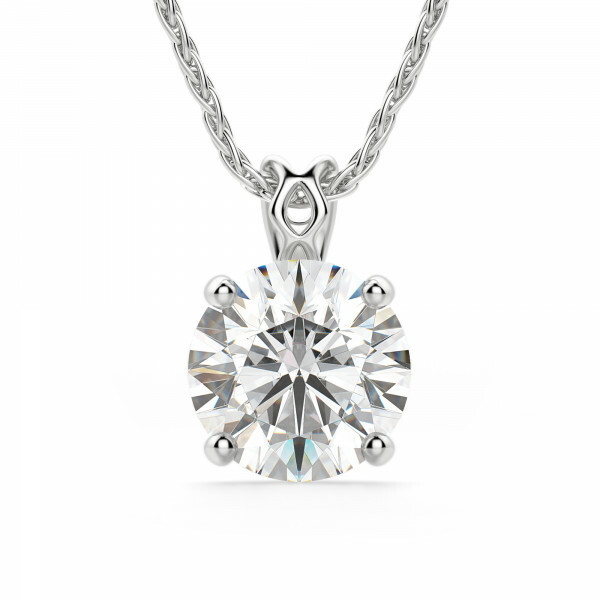 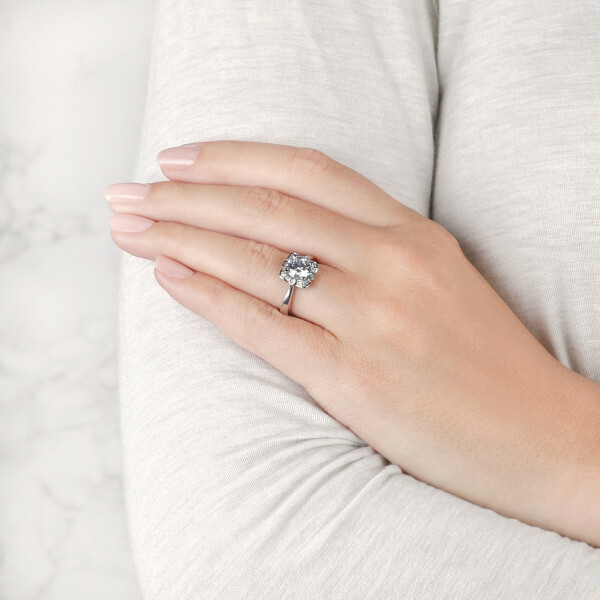 The Round Brilliant cut Nexus Diamond Alternative is surrounded by a highly designed halo of bezel and prong-set accent stones that subtly recall the look of flower petals. 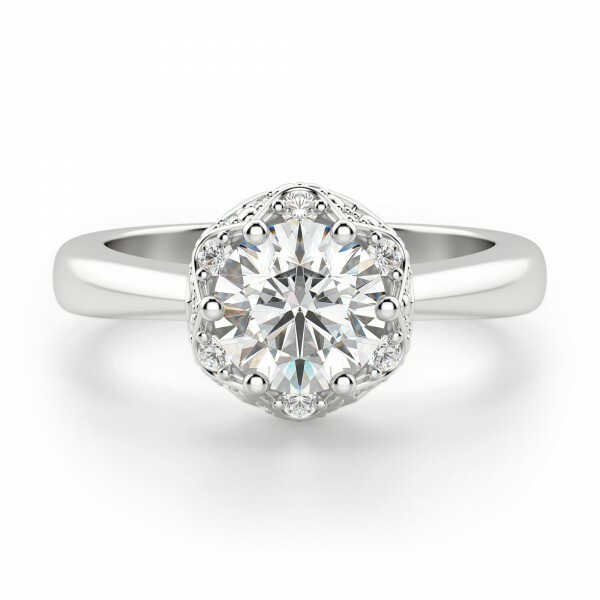 This floral undertone is carried throughout, with open an open tulip-style setting that looks like a flower when viewed from the side. 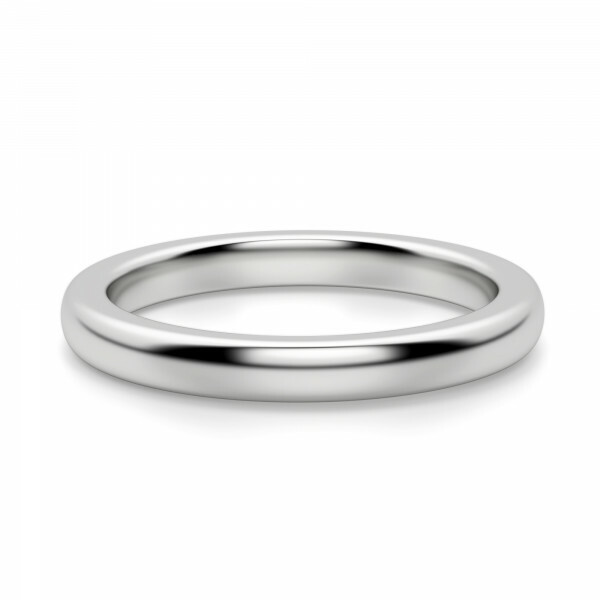 It is a lovely ring that strikes the right balance of on-trend and traditional.